"I barely have to remember to keep this charged, it just keeps on going. 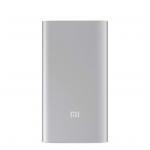 It charges my phone very quickly, and the design is sleek and modern." 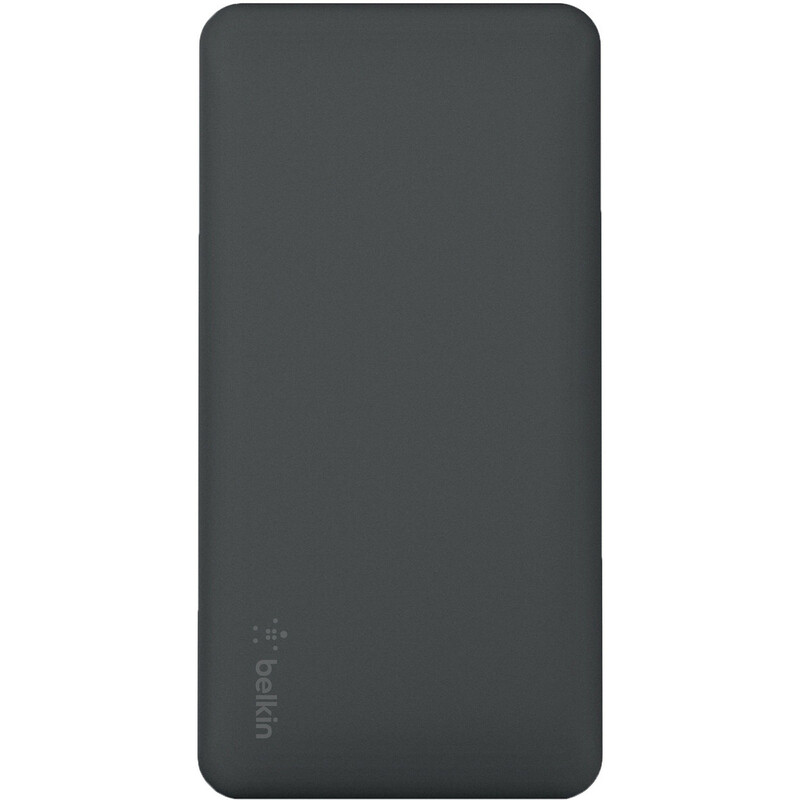 Use your mobile devices longer while you're traveling with the Pocket Power 10K Power Bank from Belkin. 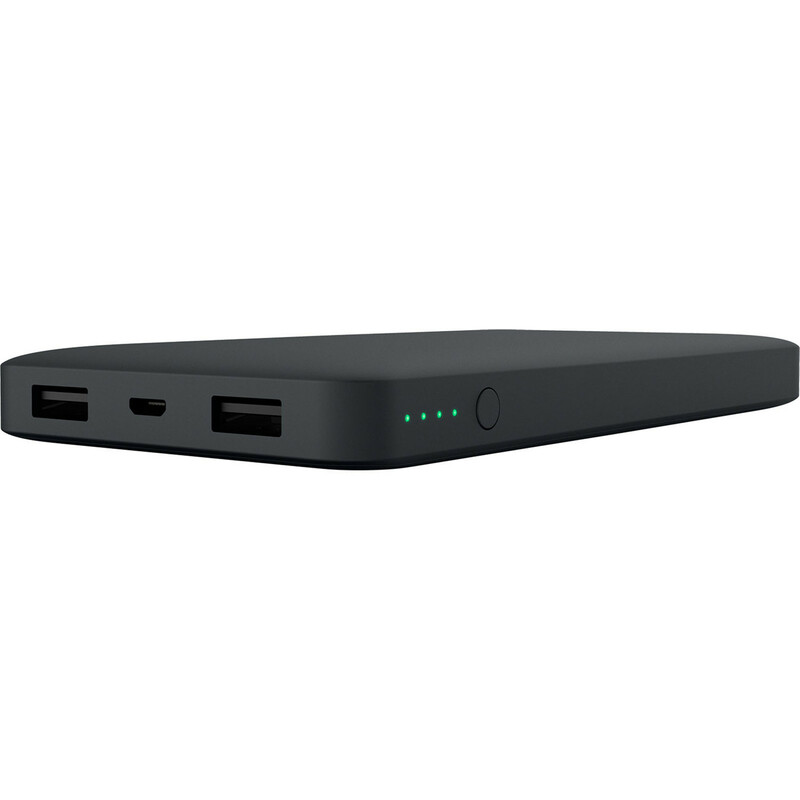 The Pocket Power 10K comes equipped with a 10,000mAh LiPo battery and two typical USB ports to recharge your smartphone, tablet, or any battery-powered device. 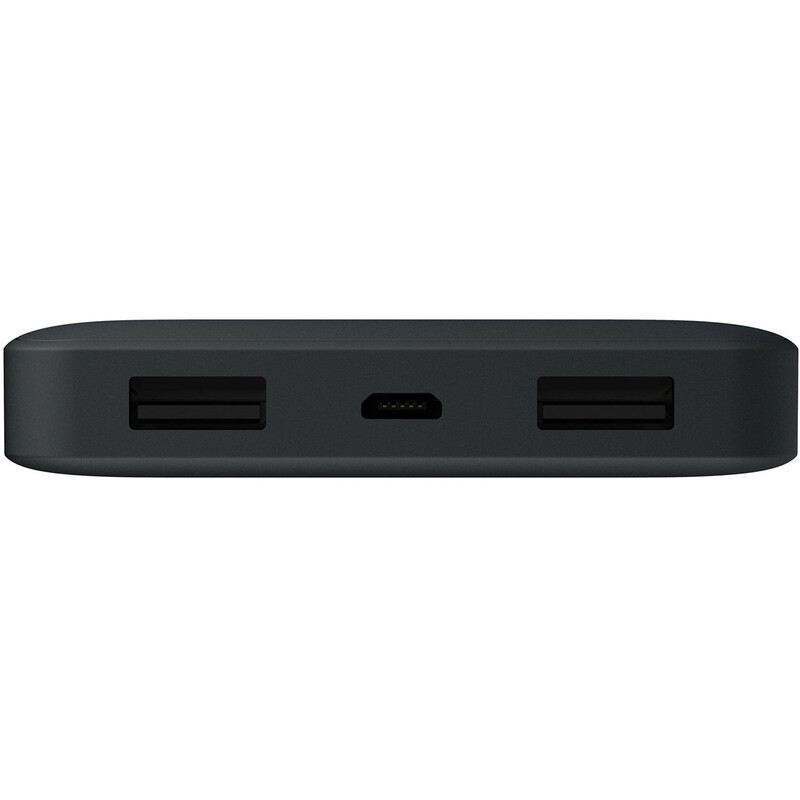 The USB ports provide up to 2.4A of power to support power-hungry equipment, and a 6" micro-USB cable is included for recharging its internal battery with a user-supplied USB power adapter. 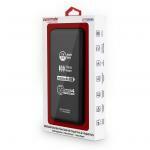 There's also built-in LED indicators to notify you of how much power is left on the Pocket Power 10K. 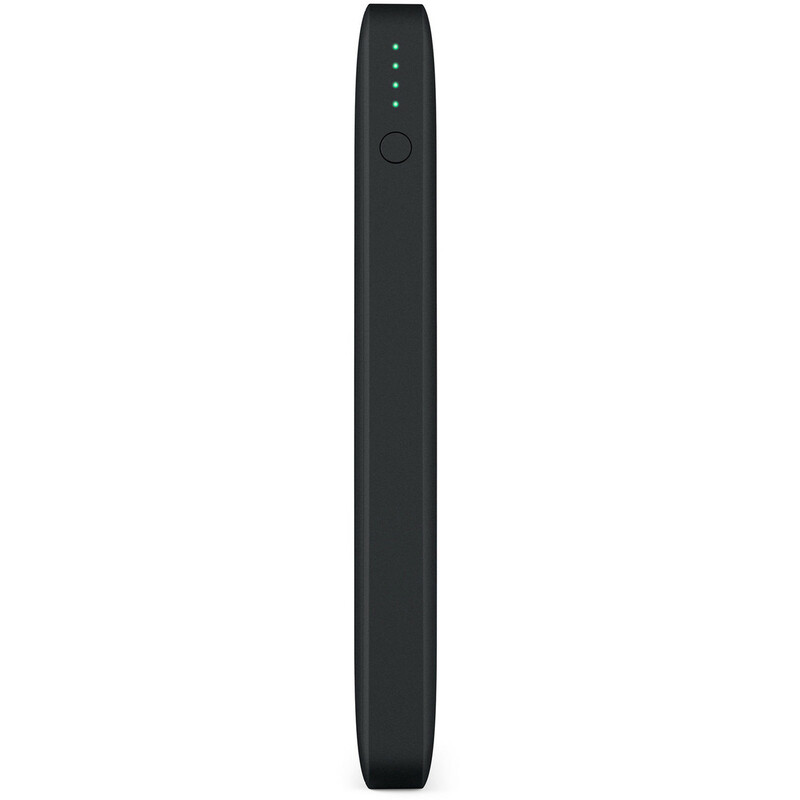 For safety, Belkin has outfitted this battery pack with sensors that monitor excessive heat and voltage. 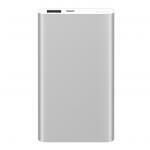 If voltage fluctuations or circuit abnormalities do occur, the power bank immediately shuts down. In addition, it comes in a black finish to match the design of your mobile device. 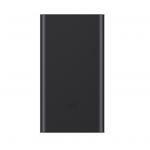 The power bank has a 10,000mAh battery capacity that can recharge a smartphone up to 3 times, providing an additional 25 hours of call time or 21 hours of web browsing. Two universal USB Type-A ports deliver 5V @ 2.4A of power, so you can quickly charge your devices. 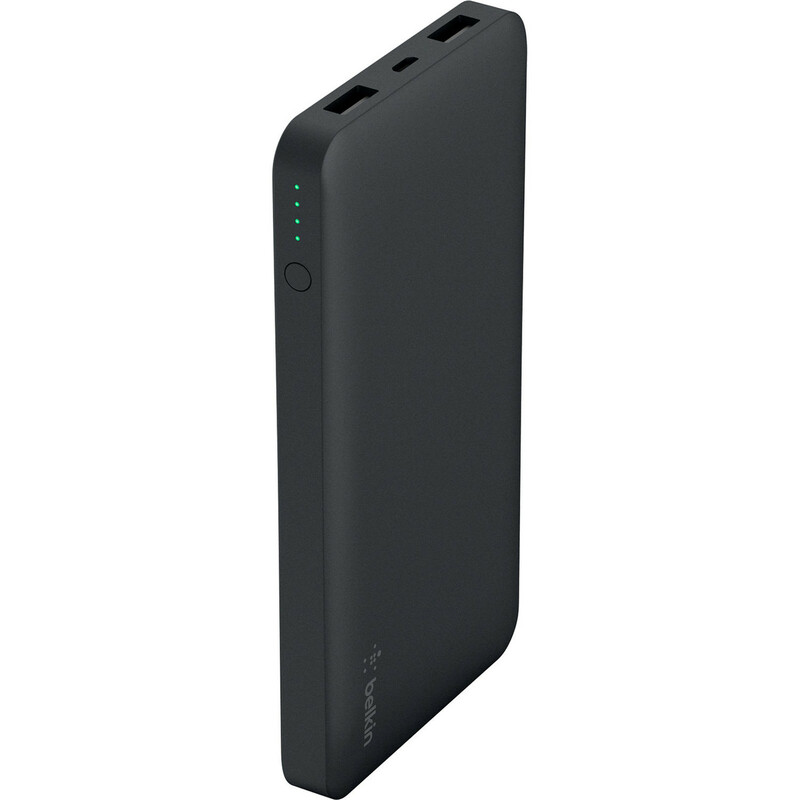 The internal battery can be swiftly recharged via a micro-USB port, supporting a 5V @ 2A input. 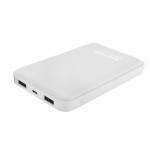 You can connect the Pocket Power 10K to an optional USB wall charger or a bus-powered USB port. The compact and lightweight lithium-ion polymer battery cells are housed inside a plastic shell, which is also lightweight and durable. 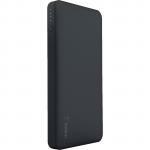 A slim design allows the power bank to fit inside your bag or pocket. Dual USB ports allow you to charge up to two devices at the same time, so your devices are ready to go. 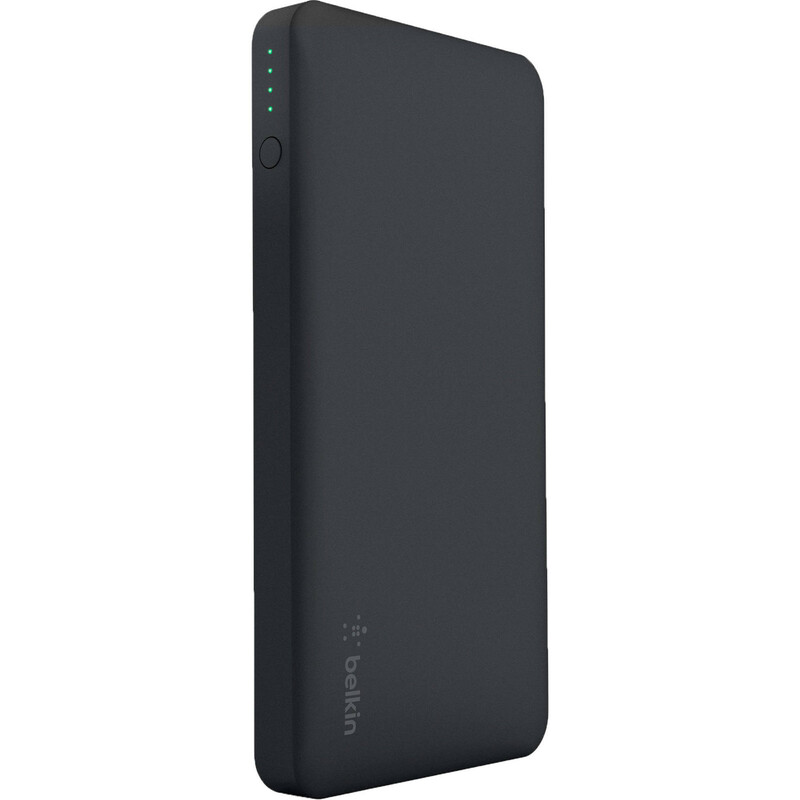 Belkin batteries include sensors that monitor heat, voltage, and circuitry, so the power bank will not overheat and harm your devices. Excess heat, voltage fluctuation, or circuit abnormalities activate an override that immediately shuts the battery down for safety. I barely have to remember to keep this charged, it just keeps on going. It charges my phone very quickly, and the design is sleek and modern.I barely have to remember to keep this charged, it just keeps on going. It charges my phone very quickly, and the design is sleek and modern. Normally: $42.60 Normally: $48.99 $29.82 ex. $34.29 inc.